One thing a visitor to Dumfries House does not need is a wristwatch. Why? Because the house has no fewer than 34 clocks, kept running by a man who tolerates only fractional margins of error. 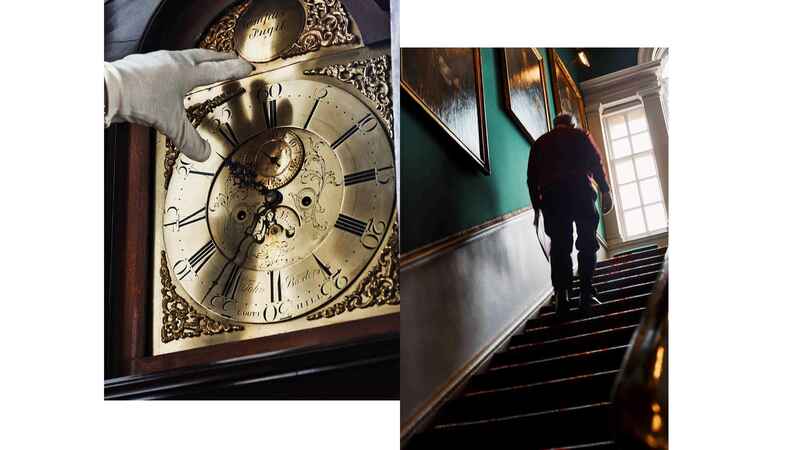 “If a clock is within 30 seconds of the right time at the end of the week, I think that’s pretty good for something that’s 150 years old,” says Iain Hair, who visits the house every Monday, winding the clocks, checking their time-keeping – and listening to them. 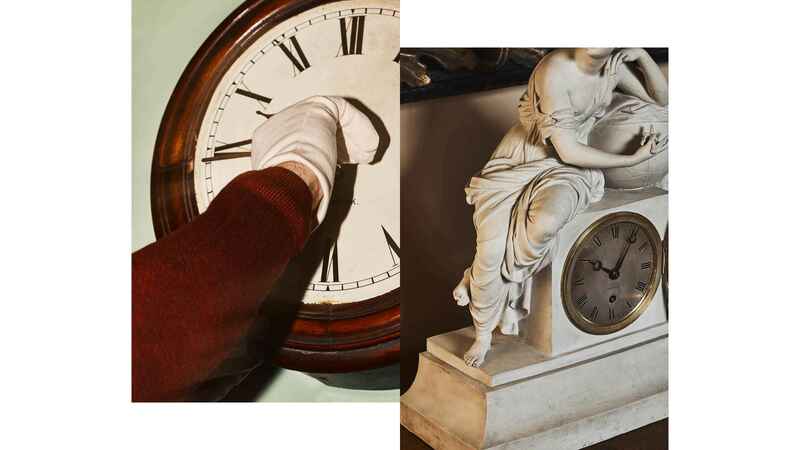 “You can tell from the ticking whether a clock is happy,” he says, and he is not the only person sensitive to the sound: the Prince of Wales has described the collection as “the beating heart of the house”. Following Hair from room to room is a fascinating apprenticeship. The first thing to grasp is the difference between long-case and bracket clocks. “A long-case clock – for instance, a grandfather clock – is six foot tall or more and usually has a pair of cast-iron weights that drive the mechanism,” he explains. “It’s very straightforward, because it depends on gravity, which doesn’t vary. Bracket clocks are designed to go on a table or mantel shelf and are spring-driven, so they tend to run a little fast at the beginning of the week when they’re tightly wound, and a little slow at the end of it.” Another distinction is between different types of escapement – the mechanism that controls how quickly the hands go round the dial. But the Dumfries House clocks defy easy categorisation. “All have their little quirks. In some cases it’s the mechanism that’s unusual, in others it’s the decoration on the face,” says Hair, adding that the dial painting he loves best is inspired by Robert Burns’s To a Mouse, on Turning Her Up in Her Nest With the Plough – although he admits that the artist’s version of a plough looks strangely like a kitchen chair. Another highlight of the collection is a bracket clock by John Ellicott, which presides over the Pink Dining Room. “There are so many elements to it. It’s spring-driven, but it has a type of escapement that dates back to the 14th century; it has wonderful matting, which is very fine dimpling on the brasswork of the dial; and the engraving on the back is stunning,” says Hair. “It always amazes me that clockmakers put almost as much effort into decorating the back as they did into the front, but these were intended as statement pieces to sit on a table, around which everyone would walk.” One of the clocks at Dumfries House even has a turntable to spare them the effort. 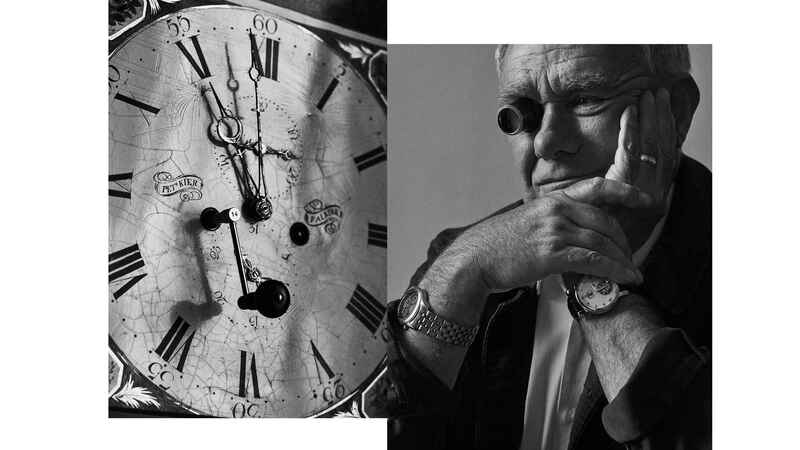 Listening to Hair, one can’t help but share his enthusiasm for the skill and problem-solving ingenuity of the people who made these timepieces. Most of the clocks have mechanisms to sound the hour or quarter-hour, but their designers recognised that this was not always an asset in a bedroom, so they came up with a ‘strike silent’ feature to be used when necessary. On the other hand, they knew that some clients would wake up in the middle of the night wanting to know what time it was, but not be able to see the clock – so a cord was added that could be pulled to make it sound the last hour.